Note: I have this from trusted sources that the following is no fairy tale. Many years ago, in the land of Spamalittle, King Rter lived in a castle surrounded by a moat filled with frogs, croaking day and night. In his quest to maintain rule over his kingdom, Rter needed more mighty knights to fight dragons, battle the omnipresent tax collector and fully document all expenses in a timely matter. To expand his band of “Knights of the Purple Squirrel,” Rter met with Murlyne, his trusted magician and head of Spamalittle’s talent acquisition team. She immediately wanted to know what Rter considered his perfect knight. He then went into his standard diatribe, pulling out a long-forgotten scroll listing the qualifications for a Senior Knight Level II – Job Code IV-12X9. Murlyne protested, saying times have changed and the old knight description no longer applied. However, Rter would hear none of it, contending that it was good enough, and insisting that the qualifications listed were still required, despite changing demographics and the high demand for senior knights. What would a worthy knight do over the course of the next year that would earn such a knight the “best knight of the year” award? During the trial by ordeal, what will you tell the aspiring knights they’ll be doing if they get accepted to your noble cause? What do the best knights do during the first 30-60 days to ensure they’re ready to do battle with whatever evil forces they may come upon? Seek out and banish at least 4-6 dragons and other evil-doers from the kingdom over the course of the first six months. Establish a training school for all aspiring knights that is known and well-respected throughout the land. Use excellent verbal and written communications skills to present complex industrial battle plans and strategies at the monthly offsite. Murlyne then asked what was the KVP – the Knight Value Proposition? Essentially, why would a fully-employed knight want this job since our compensation package isn’t even competitive, and worse, our healthcare plan doesn’t include battle-injury coverage? Rter appeared flummoxed, and being on the defensive (this is what good spells can accomplish) sputtered out some unprintable and somewhat cynical expletives. However, Murlyne finally got Rter to agree that this was a real learning opportunity and would provide the worthy person with a chance to make a real impact on the kingdom’s future prosperity. Based on this, Rter agreed to see some outliers, but no frogs. A clever ad posted on every tree drew a number of potential knights. It’s shown below for those who have any referrals. While many applied, one lowly frog seemed to be the best of the lot. 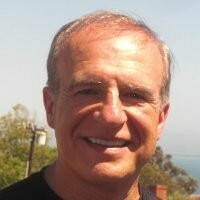 He had slayed dragons and witches and such, made complex presentations to advisory boards when he was a mere tadpole during his internship with a much bigger kingdom, had a track record of turning apprentice knights into top performers, and led an award-winning major cost-reduction program for a government contractor. Alas, he was a frog, and one without the requisite minimum of five years of absolutely identical experience. Even Murlyne was puzzled by this dilemma and felt compelled to use her magic elixir of last resort. Drinking this elixir would cause Rter to be totally objective, but it only lasted 30 minutes; barely enough time for Rter to temporarily forget that the aspirant was just a frog. King Rter reluctantly complied, but as hard as he tried he could not fight the idea that the potential knight was nothing more than a frog. However, as he began asking questions about the frog’s accomplishments, something miraculous happened. Before his very eyes, he discovered that what was initially a frog disappeared and was transformed into a brave and bold knight of the purple squirrel variety. The frog was ultimately hired and given the chance to prove himself, and while only a frog, still received the “best knight of the year” flask the very next year. 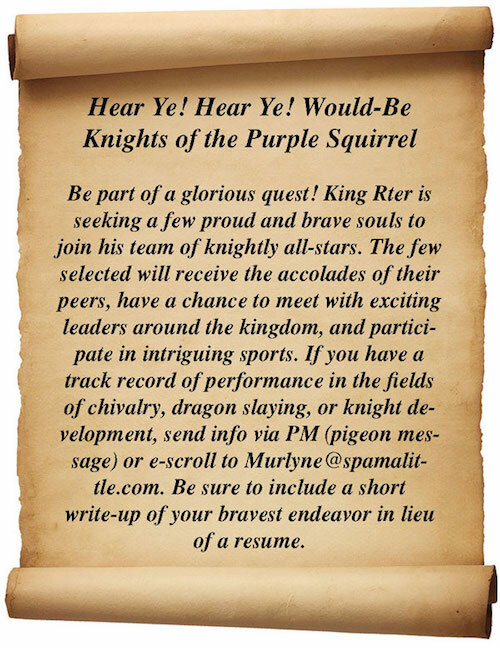 Murlyne received the praise of King Rter, but still had to rely on clever spells to control King Rter and his other Knights of the Purple Squirrel. They somehow forgot most of them were also once just frogs. Peace and prosperity returned to the kingdom and these knights soon became restless looking for other dragons to slay. But that is the way of top performers whatever they may be – frogs, software developers, even accountants. And that, my friends, is how you turn frogs into purple squirrels.